A guideline for identifying “authentic Australian Manuka” honey has been created by The Australian Manuka Honey Association. Formed in October 2017 to help promote Australian Manuka honey, The Australian Manuka Honey Association – AMHA,( which was formed in October 2017 to help promote Australian Manuka honey) said creating the guidelines was one of its major aims. As Manuka honey has risen in popularity over the past few years, a debate has broken out between Australia and New Zealand over the honey’s origin. Some believe that Manuka is native to New Zealand and so New Zealand producers should have the exclusive rights to the product. Others have however argued that Manuka honey has Australian origins. AMHA Chairman, Paul Callander, said the publication of the Australian Manuka guidelines is an important milestone. “This important milestone was made possible by eminent scientists Dr Peter Brooks, Dr Shona Blair, Dr Nural Coketin and Dr Craig Davis joining our recently established Scientific Advisory Committee,” Callander said. 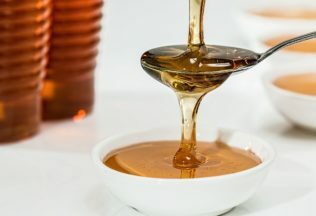 “These scientists are experts in the Manuka honey field and have outstanding global reputations. The AMHA says it will soon also launch a mark of authenticity for Australian Manuka honey.